The Governing Body is determined to ensure that any capable boy should be able to benefit from a Winchester education, irrespective of his parent’s financial means. Demand for help towards meeting School fees is increasing, and, in the FY 2014/15, we spent £2.1million supporting 101 boys. Currently there are 124 boys (18% of the School) receiving bursaries to the value of £2.9million. Twelve boys are in receipt of 100% support towards the fees. Winchester places a great deal of emphasis on the development of personal goal setting, the ability to work independently, constructive self-criticism and the determination to improve. Golf is a game that assists the attainment of these objectives and skills particularly effectively and can be said, therefore, to suit the Winchester men well. Thus, while the School does not offer sports scholarships or bursaries, we do offer (uniquely) bursarial assistance to the academically able boy with golfing talent who wishes to combine a continuing commitment to golf with his studies and whose parents need financial assistance to meet the fee.A golfing family - both father and son are OWs - has set up the Golf Bursary Fund. The funds are held within the School’s investment portfolio. It is an expendable endowment, allowing for capital to be spent when necessary with the consent of the Golf Bursary Committee. To date we have raised £1.2million in income and pledges for the Golf Bursary Fund. Over the past three years, the School has promoted the opportunity and worked closely with the county golf unions and the R & A to identify suitable candidates. The response has been excellent and there are now three Wykehamists, all excellent golfers, who are in receipt of bursaries at a cost of £82,500 in this FY. The Fund is contributing £30,000 annually towards the total, and the shortfall is coming from the School’s general bursary pot. 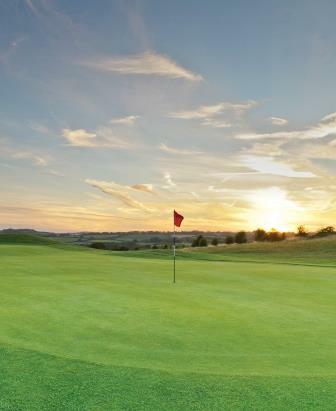 In order to support the Golf Bursary, Winchester agreed to employ a competent and enthusiastic Master in Charge of Golf, who would promote golf within its sports programme. In September 2013 Rob Moore was employed to do just that. Rob is a Great British field hockey player and a golfer. He is amongst the most capped England hockey players and was a key part of the team that picked up a silver medal at the Champions Trophy 2010, a gold medal at the European Cup 2009 and made the semi-final at the London Olympics in 2012. His real passion, however, is as a golfer. He was previously a Club Champion of Hockley and his father, Stephen Moore, is the centenary club captain of Hockley. He is also a member at The Berkshire GC in Ascot. Rob has a handicap of 3. FundingThe Headmaster is delighted with the impact this fund is making, both in terms of golf played at the School and on families that would otherwise be unable to benefit from a Wykehamical education (and, in all cases, would have been unaware of Winchester and what it had to offer). The Golf Bursary Fund has made a measurable difference to both the School and the boys who are receiving support towards the School fees. There is now an urgent need to increase the fund in order to meet demand, as the School’s budget is insufficient to meet the cost of bursary provision for this current year. The aim of the Golf Appeal is to raise a further £800,000 which would increase the value of the Golf Bursary Fund to £2million.